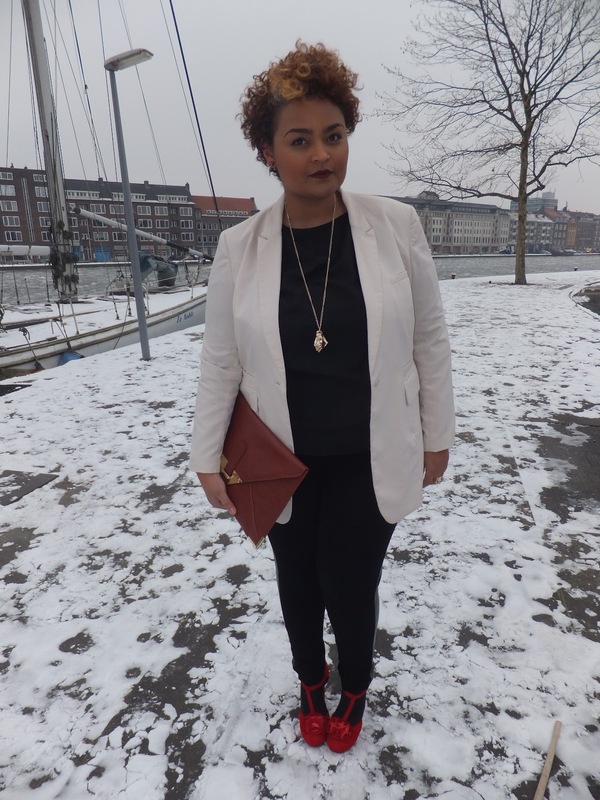 Finally I'm showing you the whole outfit I wore to Curves on the Catwalk. 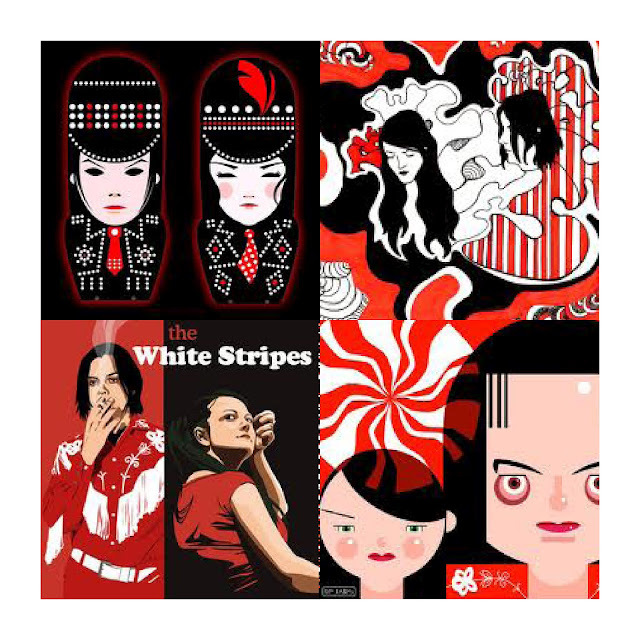 The inspiration for my look is one of my favorite rock bands: The White Stripes. Just like Jack and Megan I wanted a clean, sober color palette red, white and black. My look consisted of the ASOS Curve PU panel legging, snatched on the last minute sale. 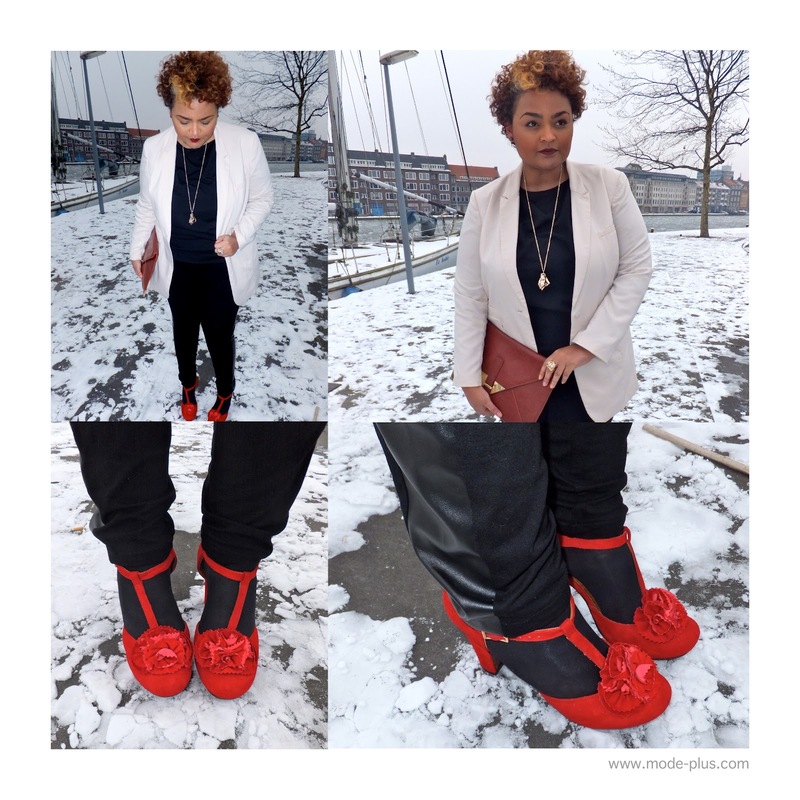 A basic black top from Primark (I would recommend anyone on a budget to go to a Primark near you), my caracara blazer by Carmakoma and these fabulous Chie Mihara heels (available here). I swear these heels walk like sneakers. So comfortable and most importantly very stable to walk on, especially if you're a heel newbie/rookie. Are you a fan of basic color palettes or do you prefer more color in your look? I love this look! I the red shoes I are nice pop of color!